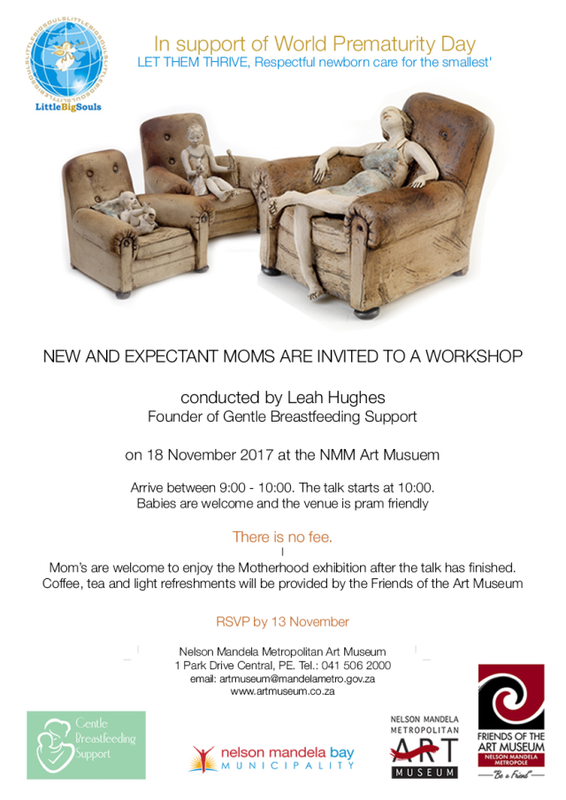 New and expectant Moms are invited to a workshop that will be conducted by Leah Hughes, founder of Gentle Breastfeeding Support. Topics that will be discussed will include ....Breastfeeding, pre-birth planning, the first few days of motherhood. The event is arranged in support of World Prematurity Day.